Pretty Gorgeous Cake Company TEACUP CUPCAKE (£20) The company name just says it all really, this ‘gorgeous’ gift combines a sweet treat with something extra that she can keep forever. 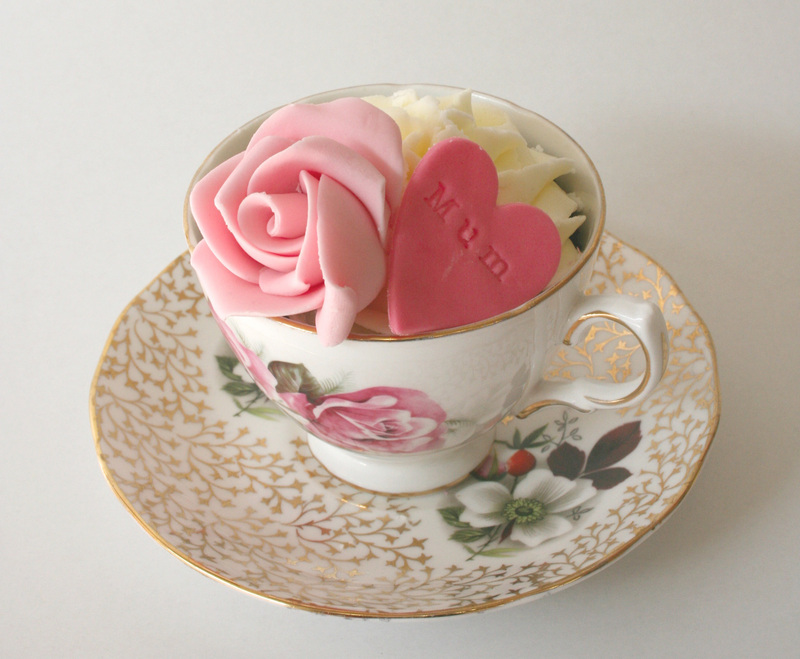 ‘The Teacup Cupcake’ includes a vanilla cupcake with delicious vanilla buttercream and decorated with a handmade sugar rose and heart shaped plaque. This all sits in a vintage style teacup and china plate. Cakes are available in a yummy range of flavours including Chocolate Baileys, Lavender, Red Velvet, Vanilla, Carrot, Coffee and much more with fillings including butter cream, chocolate fudge butterscotch, marzipan. 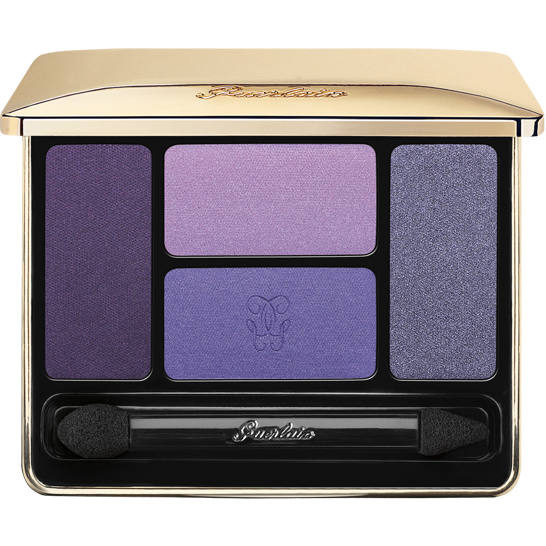 This Guerlain eyeshadow palette includes 4 different shades that can be worn alone but also work really well blended together for added depth. Each eyeshadow has a gorgeous velvety textures and adds that special glamour. Perfect for those yummy mummys. When I was younger I used to joke about getting socks as a present as though they were not a very exciting gift. Oh how times have changed and perhaps I am getting old but boy do I love a good pair of chunky knit socks now! These Perilla socks are made from Alpaca fibres imported from Peru, and then hand finished in Britain. The alpaca fibres are not only super soft but also have an antibacterial element allowing them to be worn several times without washing, major selling point for me as I am forever losing my socks. Right, sorry, back to the mothers of the world, these are a great gift for mums who deserve to put their feet up. Bobbi Brown are know for their cosmetics but have a great skincare range too. This moisturising body lotion includes nourishing ingredients such as aloe vera and olive, jojoba, sunflower oils. It is also infused with green tea and vitamin E, and makes for a great pampering present. Available from House of Fraser. 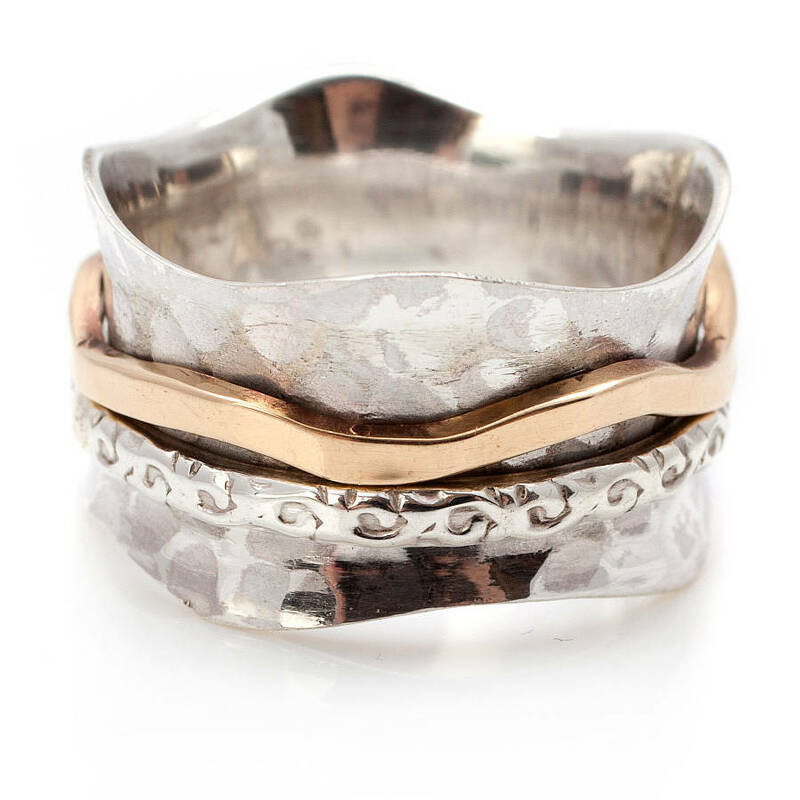 Treat your mum with some stunning jewellery, this handmade bronze and silver spinning ring is a unique bohemian inspired design. It sits well with both silver and gold complimenting jewellery. This is more than just a pretty ring, the repetitive motion of playing with a spinning ring is said to to relax and calm the mind. An interesting fact is that in ancient traditions silver spinning rings were worn to help reduce tension levels and anxiety. You may have noticed I am a bit of a chocoholic (again perhaps an understatement) well I definitely got the chocolate-loving gene from my mother. 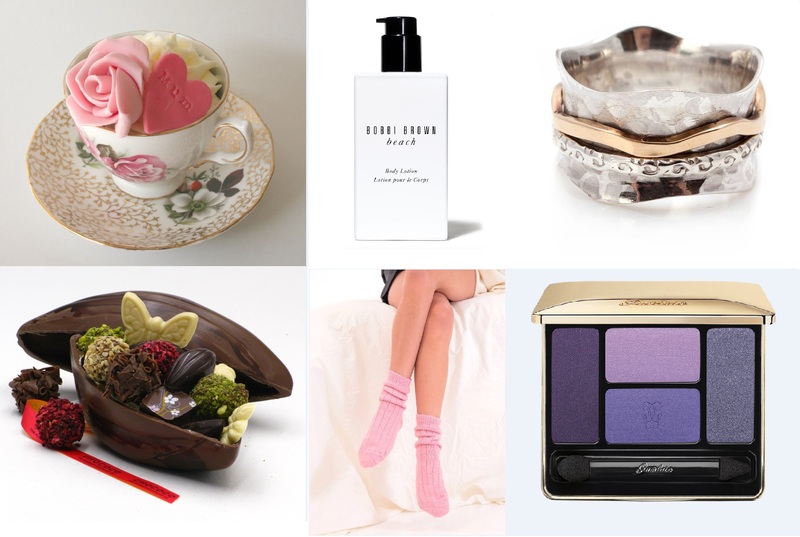 So it would be wrong to do a Mother’s Day Gift Guide without including a chocolate suggestion. This is handmade cocoa pod is made with 43% Venezuelan milk chocolate, decorated with dark chocolate. 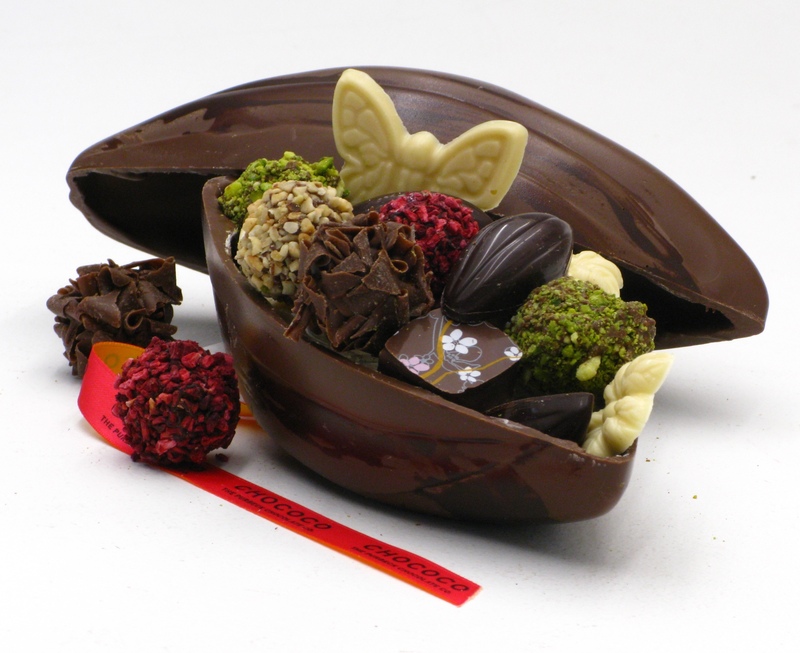 It’s packed full of a selection of handmade chocolates with smoked sea salt caramels, zingy passionfruit and Lemongrass, delicious truffles and white chocolate butterflies and flowers.